Ronald was born in Rotterdam, Holland, in 1963. He was a very observant and psychically sentient child. With absent parents busily working in their clubs and bars, the onus fell on Ronald to raise his three younger siblings. Not an easy task to begin with – with the emotional stress of an abusive alcoholic father adding considerable additional strain. It wasn’t long before the homestead became unbearable. Ultimately, and in total desperation, his mum fled to Germany, relegating 8-year-old Ronald and his siblings to the only place she felt would offer protection against their father’s threat of kidnap: a children’s home. Ronald’s inclination towards helping children started there. At night he would dream that he was Saint Nicholas. True to his dreams’ prophecy, he would feverishly save up his pocket money and lavish his childhood peers with sweets and presents. During this time he also developed a very meaningful relationship with his “weekend guardians” – a family volunteering their time and love to easing his solitary journey. It was them that took him to church, and inspired him to join a choir; where he developed the voice that would carry him through much of his later career. By 1977, Ronald’s two sisters had been placed in permanent foster homes, and his mother felt safe to return; collecting him (now aged 13) and his younger brother. Even by this tender age, a subliminal seed of the Heavenly Yours Foundation had been sown. At 18, Ronald went to Germany to do his compulsory military service with the Dutch army. It is here that he met his German partner, Sabine. They married soon after and moved back to Holland. Their first son, Robertino, was born in 1986, shortly prior to Ronald suffering a lung collapse. Undeterred, 1987 onwards placed Ronald in his heyday of singing and performing extensively in bars, clubs and festivals. In 1990, however, his second lung collapsed. Ronald took this as a sign of the universe quite literally stopping him in his tracks, and giving him cause for a less chaotic life. A year later, his second son, Dominique, was born. It is in 1994 that his life took on a totally new direction, in the form of a male romantic partner, Henri. Naturally, he and Sabine divorced, but remain amicable to this day. Together, Henri and Ronald catapulted themselves into the club scene, embracing all the trappings that went along with it. In 1995, inspired by the culture into which they’d immersed themselves, they created Hero Music Productions – composing, writing and producing club trance, house music and EDM (Electronic Dance Music). It is in the same year that Ronald first encountered Ibiza, uttering the foretelling words: “I’m going to live here one day,” as soon as he stepped off the plane. Indeed, it is Ibiza that later inspired his greatest hits: ‘Nervous Breakdown’ in 1998; and ‘Are You Ready To Party’ in 2000 – these, amongst others, contributing to three number one UK Dance Chart hits, and 30 worldwide number ones or top 10 chartings. Ronald was forever back and forth “keeping a finger on the Ibiza pulse”, and accompanying Henri spinning their tracklist at Ibiza’s main venues including Pacha, Es Paradis, Eden, Bar M and Bora Bora. In the summer of 2005, Ronald called it a day on both his relationship with Henri, and the hedonistic life they’d shared; nowadays enjoying an entirely drink and drug-free existence. His music career continued to soar, with a sum total of 380 songs and remixes released globally. In this time, he remixed many now very famous artists, and his music was extensively played by island sweethearts: Fatboy Slim, Judge Jules, David Guetta, Pete Tong, Boy George, Roger Sanchez and Moby. 2011 saw him awarded with Gold and Platinum awards for facilitating the official remix of ‘Cuba’ (ft. the Gibson Brothers), produced by DJ Robert Abigail. 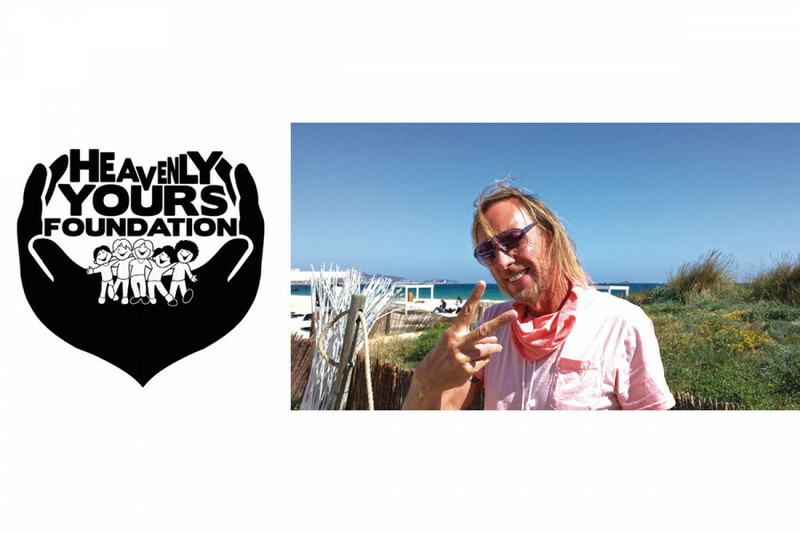 In June 2013, Ronald’s yearning to fulfil his humanitarian potential brought him back to Ibiza full-time: “I left behind my house, car, and all my money-making security, to follow my life’s dream.” This dream being the aforementioned Heavenly Yours Foundation, which is poised “to help and serve humanity, especially children, around the globe.” Victims of war, hunger, discrimination, mental/physical abuse, or just those of less fortunate financial means, feature high on Ronald’s list of priorities. The foundation represents a “safe haven” welcoming those of all religions, races, and sexual orientation, without judgement or discrimination. First on Ronald’s agenda is to offer fully subsidised holiday breaks here in Ibiza, geared predominantly at minors, and enriched with comprehensive counselling support and care. To do this, he will be executive producing remixes of his previous hits. A robust musical battalion lies in wait to further his cause: Mental Madness Records (one of Germany’s top 10 dance labels) will be exclusively releasing the tracks, in collaboration with Kontor New Media (Germany’s top distributor) and Pool Position (Germany’s number one promoter). Funding will also be generated from The Shrink (Reloaded) gigs circulating the island this coming season and beyond. 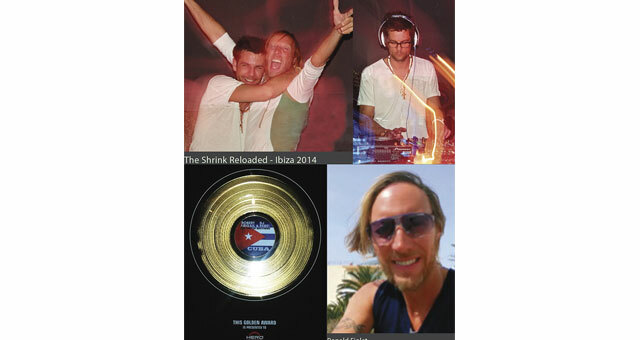 For Ronald, there is great satisfaction in knowing that Ibiza’s dance scene will be instrumental in generating the income that the locally-based foundation will draw on. And as Ronald says: “It only takes one hit,” of which Ronald has already had many… We wish him the very best of luck.